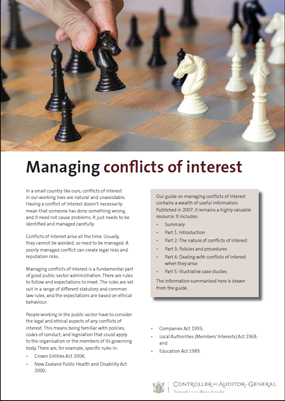 A conflict of interest is when your duties or responsibilities to a public organisation could be affected by some other interest or duty that you have. Other interests might exist because of an individual's own financial affairs, a relationship or other role, or something an individual has said or done. The summarised information in this section is drawn from the guide.